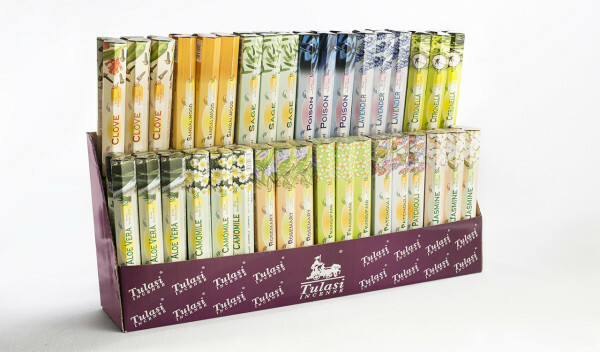 Getting a big pack of incense sticks with varied fragrances in a classic range is desirable through this product. 20 incense sticks are packed on a hexagonal box. Complete package consists of 72 hexagonal boxes. Tulasi classic range hexagonal display units consists of 12 fragrances.